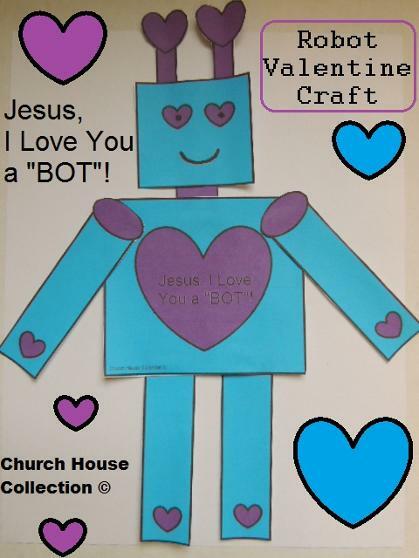 Robot Valentine Craft Jesus I Love You A "BOT"! 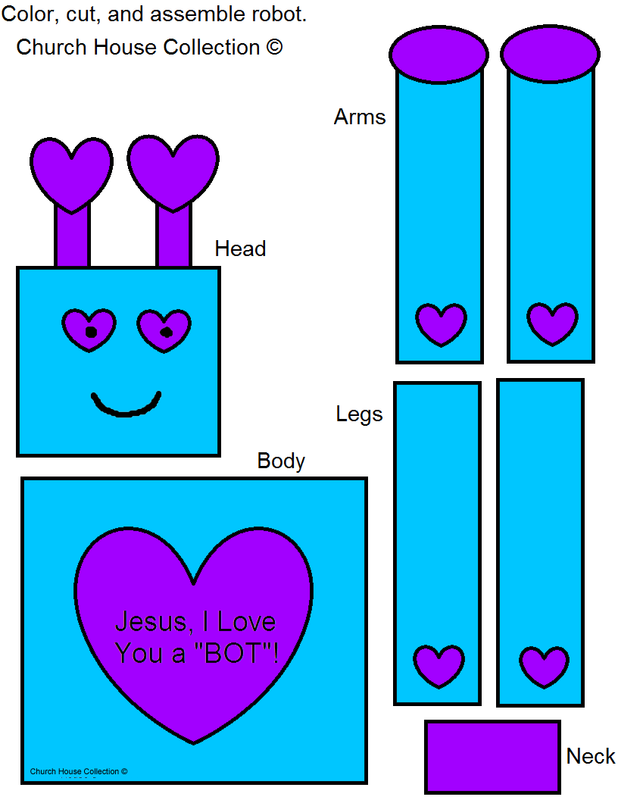 Jesus, I Love You A "BOT"! 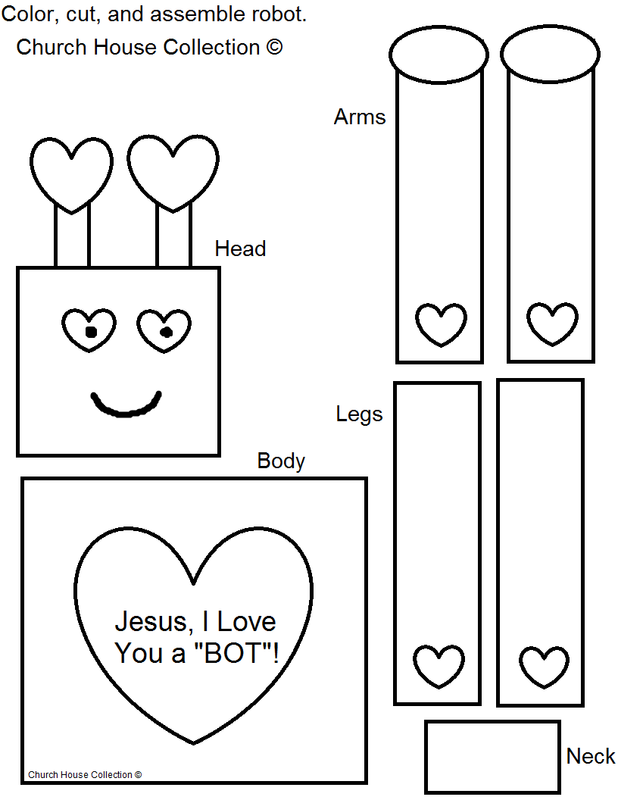 I made four different templates below for you to print out. Colored and black and white. I also made it with and without words. Just pick the one you want and print it out. This will fill an entire sheet of paper 8.5x11. 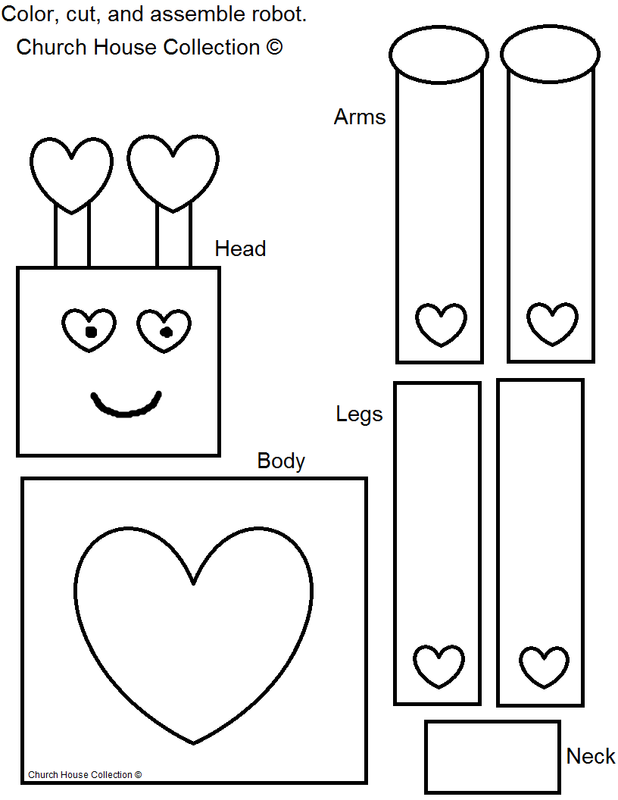 Have the kids color the robot and then cut him out. Assemble together using tape and that's it!